When it comes to making your brand visible across the whole of the exhibition hall things can get a little tricky. How exactly do you make sure that visitors know you’re there when there are so many other brands exhibiting too? 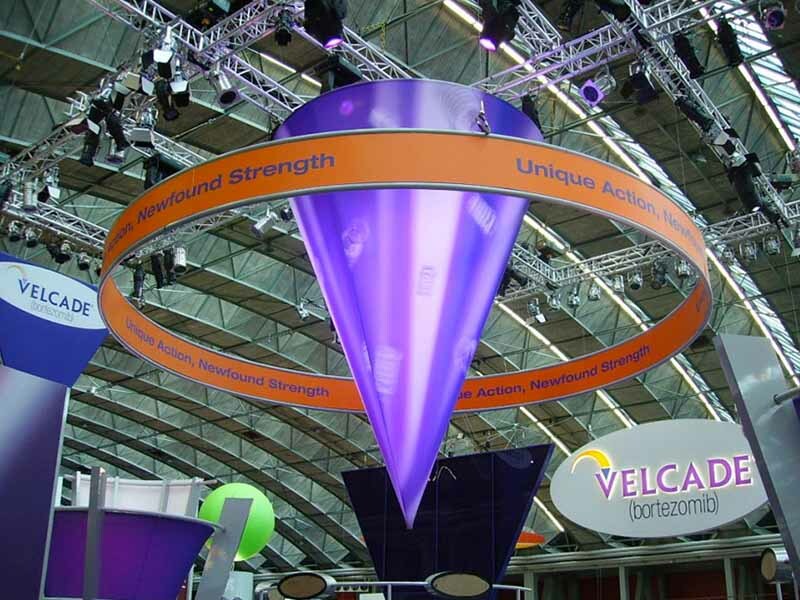 If you’ve never heard of suspended structures then your day is about to get a lot better, they can ensure your potential customers can see you from a distance. We can easily print your logo onto the structure tp give it the perfect finish to show off your brand. The beauty of these structures are that they’re easy to assemble and dissemble so transport and storage costs are kept to a minimum. Make sure your stand embraces the latest technology at your exhibition. LED lighting can really bring your stand to life, it can be used to highlight product displays or to make your graphics extra striking! 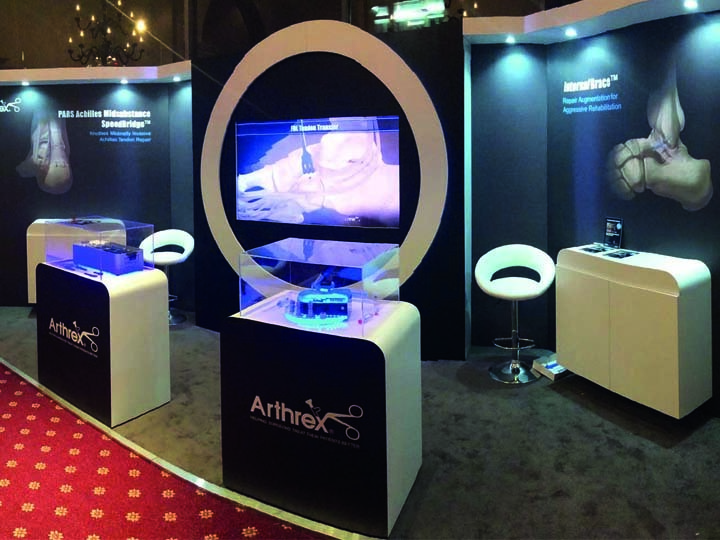 Why not go the extra step and make your exhibition stand a fully integrated visual experience for your visitors? This can really increase user engagement and help build relationships that turn into loyal customers. 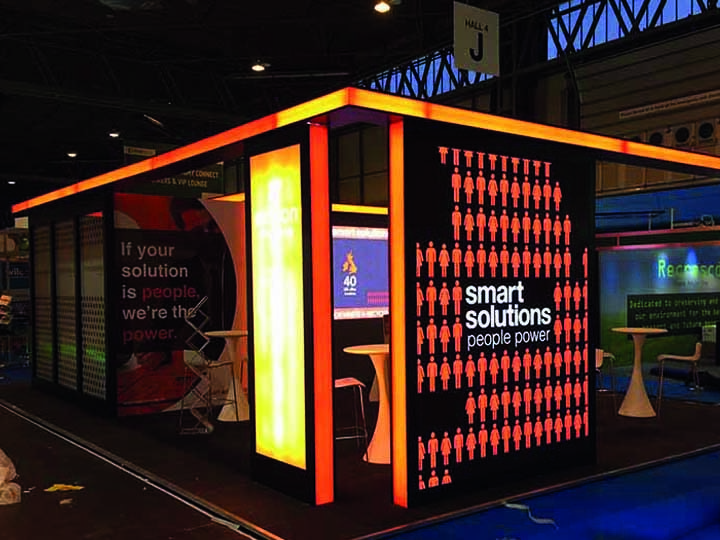 Video walls add a completely different dimension to your stand, they help bring your vision to life and are sure to grab the attention of passers by far more than a static stand. You can learn more about our video wall package here. What you decide to kit your stand out with is important. You want your choices to reflect your brand and ethos, if you’re a natural focused company then wood would be a great choice, if you’re a professional service then modern options would probably suit you best. Your brand is your identity so the graphics you have on your stand need to be eye catching and vivid. 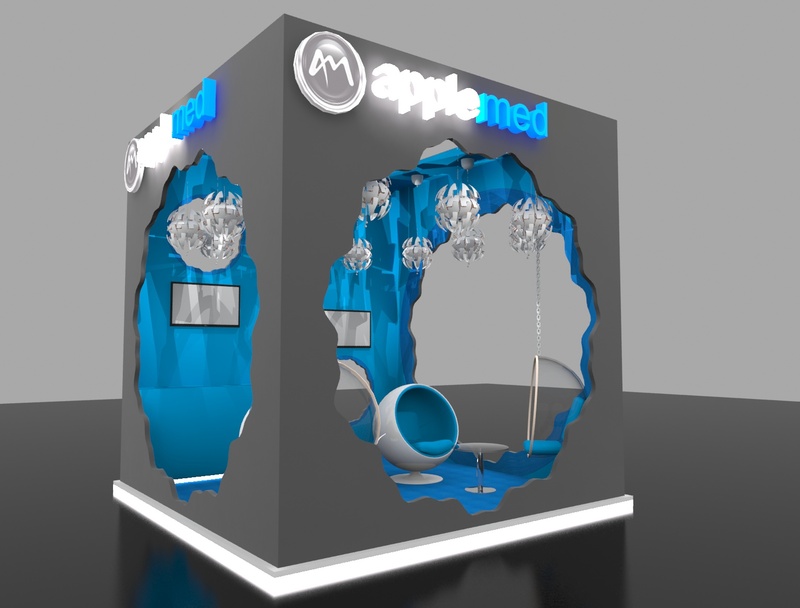 They can either be stuck or mounted on any area of your display, let us help you see the possibilities of your display with our free 3d design service. Get in touch today and see what your stand could look like. Our support and communication really is second to none, we talk you through every step of the way keeping a transparent working ethic so that you’re in the know the whole time.